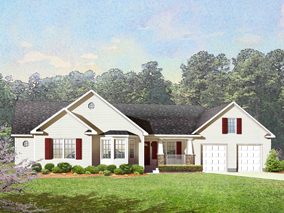 The Youngsville is a quaint ranch style home offering three bedrooms and two baths. Its open floor plan provides ample living space while making every guest feel welcome. The optional walkout bay window adds to the homes unique appearance.